First things first, I need to confess something: I'm slightly obsessed with great design. I've spent the better part of the last couple of decades helping organizations create successful design systems, improve collaboration between designers and developers, and deliver great digital experiences. Most importantly, I help organizations understand the importance of placing users and customers in the center of every digital project they deliver. I'm a Digital Creative and User Experience professional with over 20 years of customer-centric experience, strategy, leadership and mentorship. I love the challenge of combining the art and science that drives e-commerce — analytics, testing, research, and user behavior — to develop user-focused solutions that drive results and elevate a brand's visual impact. Wow, I've been busy. Check out my recent work history and education profile below. You can access my complete work history on LinkedIn. Professional references are also available upon request. I currently serve as the design systems architect for the Chico's FAS User Experience team, bridging the gap between our design and technology teams. My primary responsibility is to provide ownership, maintenance, administration, and governance of the Chico’s FAS Design System and its components. My role is critical in helping the organization maintain a single source of truth for digital design standards and usage across a portfolio of brands, thus ensuring a consistent customer experience across our media platforms. I play a strategic role in executing the organization’s business goals by identifying and implementing design process improvements, and I also serve as a key change management agent in ensuring all digital products deliver a best-in-class user experience. Partnering with brand creative teams, developers, UX designers, and other key stakeholders to evaluate and approve any and all requests for global updates to customer-facing styling elements, thus maintaining alignment of visual presentation across all digital channels. 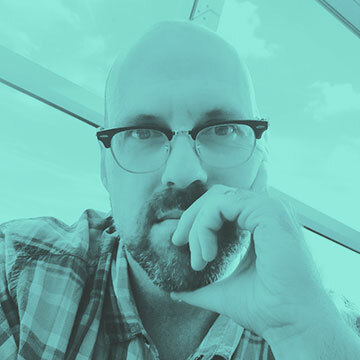 Owner and administrator of the Chico’s FAS Design System and its components (Sketch libraries, web-based Style Guides and Brand Guides). Evaluating, testing, implementing, and communicating any global changes to the Design System. Ensuring all digital design elements are produced in accordance with the Design System’s workflow process, recommendations and industry best practices. Providing training resources and documentation updates. Hosting ongoing work sessions with designers and developers to assist in the onboarding, adoption and success of the Design System. I developed a wide variety of creative marketing assets (landing pages, homepages, e-marketing materials, motion experiences, responsive experiences, etc.) 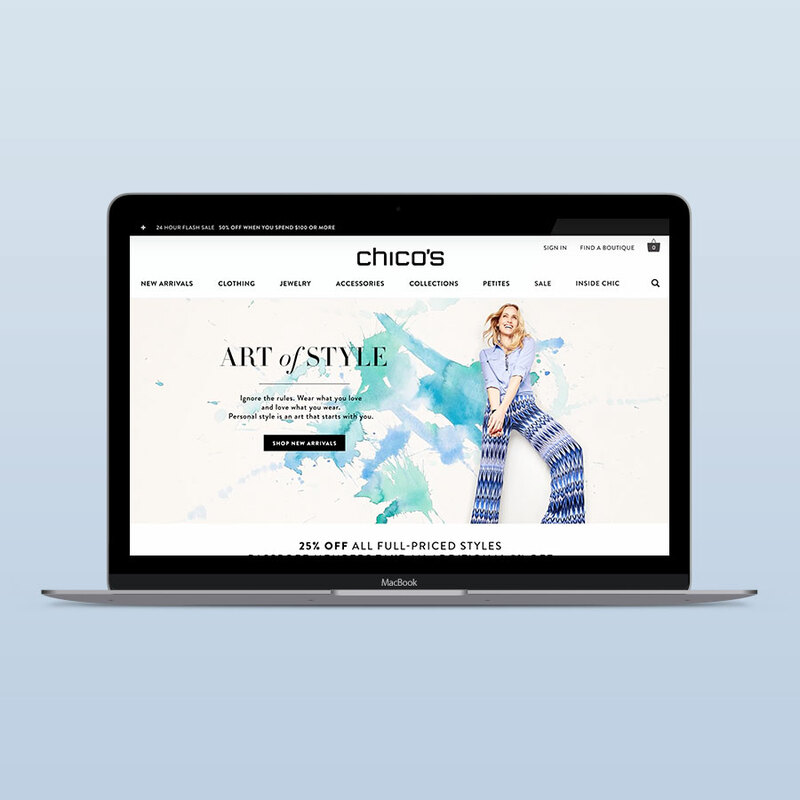 for women's fashion retailer Chicos.com, and provided leadership, strategy, and project supervision for the five-person design/production team. I also created campaign concepts and provided on-set studio art direction for both on-model and still life photo productions. Owner and creative technology lead for full-service digital creative agency. Primary duties included development and execution of digital projects from concept through delivery; client strategy and campaign development; and day-to-day business management/operation. Concept development and on-set art direction for Chicos.com Spring 2016 Swim Collection. Photography by Dean Isidro. The Chicos.com site redesign launch marked the culmination of a year-long effort to move the brand toward a fully-responsive format. The improved functionality and performance of the revamped site has dramatically improved the brand's organic search results and conversion rate. The project afforded me the opportunity to not only play a key role in the design, production and integration of the new site, but also to provide support and training for the creative team. On-set studio art direction and concept for Chicos.com Party Shop collection. Photography by Paul Westlake. Assets were leveraged across a variety of additional media platforms including e-marketing, paid search, social channels and more. On-location art direction and project design execution (responsive layout) for Chicos.com Black Label collection. Assets were leveraged across a variety of additional media platforms including e-marketing, paid search, social channels and more. On-set art direction and layout execution for Chicos.com "Gotta Have It" landing page experience. The goal of this project was to develop a user experience that highlighted key fashion items into a "style edit" for transition wear. Photography assets were leveraged across a variety of additional media platforms including e-marketing, paid search, social channels and more. 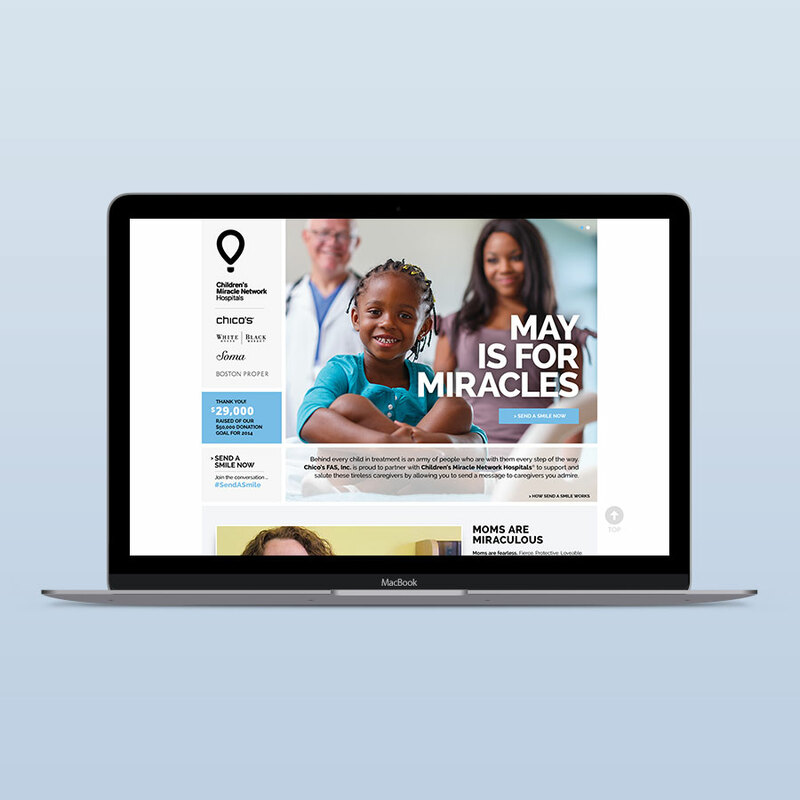 Concept, UX, UI design of microsite for Chico's FAS corporate giving initiative in partnership with Children's Miracle Network Hospitals. Also developed designs for supporting assets including e-marketing campaign and social media channels. I love speaking to organizations, student groups, designers, and technology teams about the importance of customer-centric User Experience, and the value in creating successful design systems and collaborative workflows. If you're interested in having me speak to your group or take part in a panel event, get in touch with me! Put simply, I specialize in building digital systems and products that place the customer's wants and needs at the center of every experience. I do this by casting aside assumptions and guesswork, instead focusing on analytics, testing, research and user behavior to evaluate performance and success. My greatest passion is helping organizations utilize the concepts, tools and techniques to create successful design systems. I build Sketch component libraries, Living Style Guides and web-based Brand Guides that allow organizations to provide a consistent customer experience across digital platforms. Combining a modern design system with a collaborative workflow allows designers and developers to speak the same language and work seamlessly. I love helping organizations optimize this process in order to improve their testing capabilities and speed to market. I've been fortunate throughout my career to learn from so many talented peers and mentors, and I feel privileged now to have the opportunity to pay those experiences forward — whether it's one-on-one interaction with young professionals, or speaking engagements with student groups. I help organizations navigate the challenges of delivering a cohesive, consistent brand presentation in today's business environment by building design systems and workflow processes that can weather any device, channel or market. My expertise in creative design and art direction provides me the ability to craft digital design solutions that combine aesthetic value with research-driven UX practice. Interested in having me speak to your student group or organization? Working on a project that has you stumped? Have a question? Give me a shout, I'm always happy to talk shop.